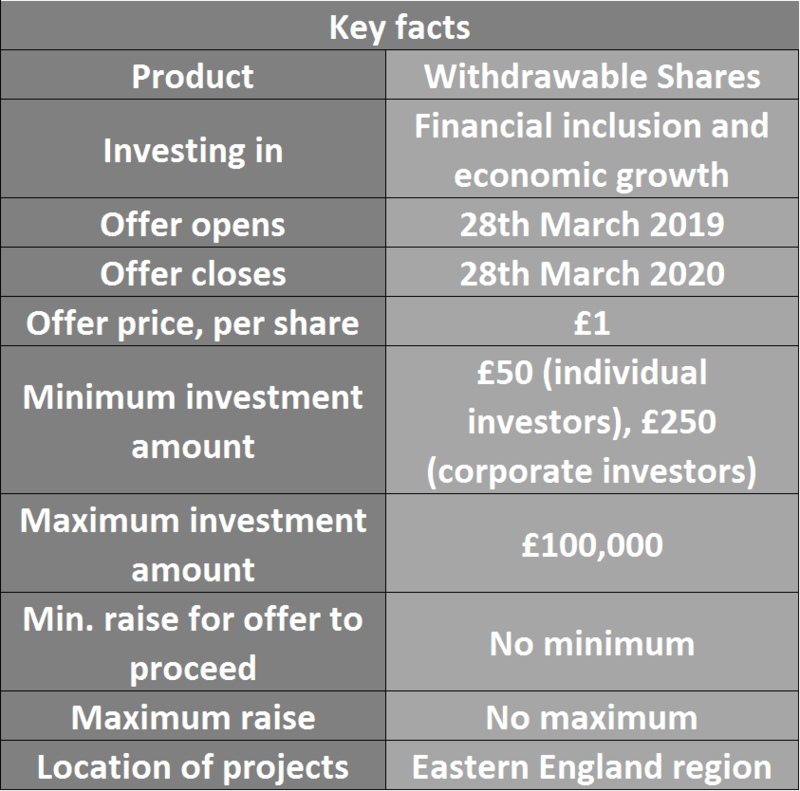 A brilliant new share offer from Foundation East listed on Ethex aims to help Foundation East strengthen communities in the East of England by investing in even more small businesses and social enterprises that find it difficult to raise finance from traditional banks. Foundation East raises capital to lend to small businesses by selling shares in its Mutual Society. Foundation East is democratically governed by its members, who believe in its mission and share its values. Their borrowing customers run businesses from all sectors. What these businesses have in common is that raising funds through banks and other sources has proven difficult for them, for a range of reasons including a short trading history, insufficient security, an unusual business model or their credit score. This offer comes with the benefit of Community Investment Tax Relief (CITR) withdrawable shares, which means investors can claim 5% of the value of their investment off of their tax bill each year for 5 years. The minimum investment amount is £50 for individual investors or £250 for corporate investors, with a maximum of £100,000. Tax relief of 5% per year can be claimed from tax year 2018/19. Eastside Primetimers supported Foundation East with a strategic and financial plan, including the development of a strategy to leverage their CITR share offer and increase share capital. This involved developing a document to measure and demonstrate social impact and identify social investors to approach for loan capital. “We are very grateful for the support provided by the Eastside Primetimers team during the process of putting together of our 5-year strategic plan. They were able to put together a diverse team enabling us to benefit from their wide knowledge and skill base”, Foundation East chief executive Katy Ford said. Foundation East’s mission is to support job creation, job sustainability and to strengthen communities by providing financial products and associated services. The wellbeing and personal circumstances of Foundation East’s borrowers is improved through their ability to access affordable finance to grow and develop their businesses. In addition, many of Foundation East’s borrowers are also social enterprises.